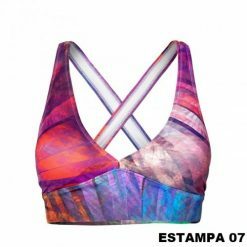 Apuã sports bra is a charming, modern and irreverent model. 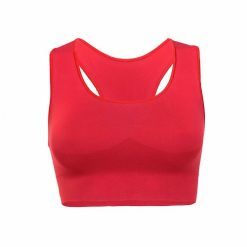 Its front is plain, while the back is made in printed mesh. The use of the mesh allows cool ventilation during the activity. 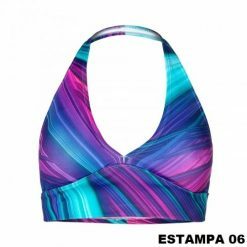 This sports bra provides comfort and well being during the activities. It is advisable to use in low and medium impact sports such as yoga, walking, Pilates, fitness and others. Reversible Batubá shorts are a good suggestion if you want a beautiful match. Composition: Polyester / Elastane.